We offer Automatic Vertical Form Fill Seal Machine to our clients. Pouch Length: 10"-12", 6"-8", >12", 8"-10", 4"-6", 2"-4"
This is semi automatic weigh filler machine to drop the material at big quantity with accuracy. 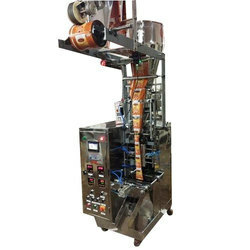 We have gained recognition as an eminent enterprise, devotedly engaged in manufacturing and supplying a broad range of Automatic Form Filling Machines. Superb construction, compactness, simplicity in operation and low maintenance make it a versatile machine. These machines are meant to increase production without much expense and manpower. Easy to operate and maintenance free. Packing'range . : 10 gms. to 500 gms. We offer high speed automatic form fill seal (FFS) machines with minimum power requirement for packaging liquids, solid, granules, & powder. Our form fill seal (FFS) machines can pack products of different pack sizes as required. 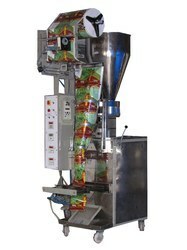 Backed by rich industry-experience, we are engrossed in manufacturing and supplying Vertical Automatic FFS Machine.